Coulda been worse. It could've been set to "Marquee" with some colorful language! 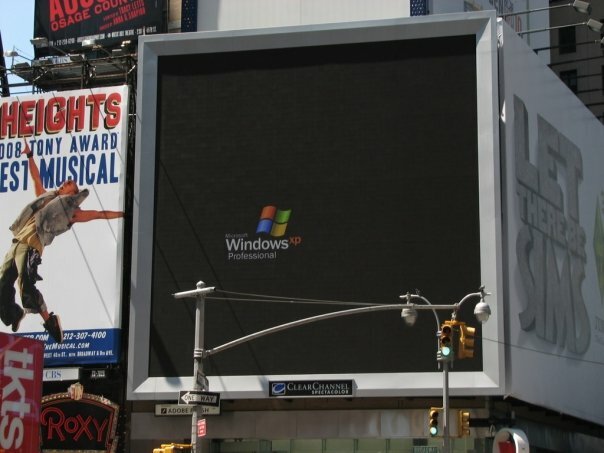 Couldn't Microsoft have just bought ad space? eadler wrote: Couldn't Microsoft have just bought ad space? They can't even get Solitaire right. I feel really cheated after all these years. Too bad you didn't have an ace of spades, or else you'd surely win that game! Actually, I'm betting someone forgot to disable automatic updates and enable auto-login. Betting the machine did an update and rebooted itself. ...and another one! These are great!